badidea wrote: GW-BASIC looks pretty obscure to me too, e.g. Hey, no line numbers! Is that really BASIC? freeBASIC can handle old style line numbers. 530 If number% = 1 Then c$=""
Lost Zergling wrote: I'm a Zergling. I do not think,..
dodicat wrote: freeBASIC can handle old style line numbers. Sure it can. Ugly syntax can be anything between GWBASIC as posted by badidea above and C++. 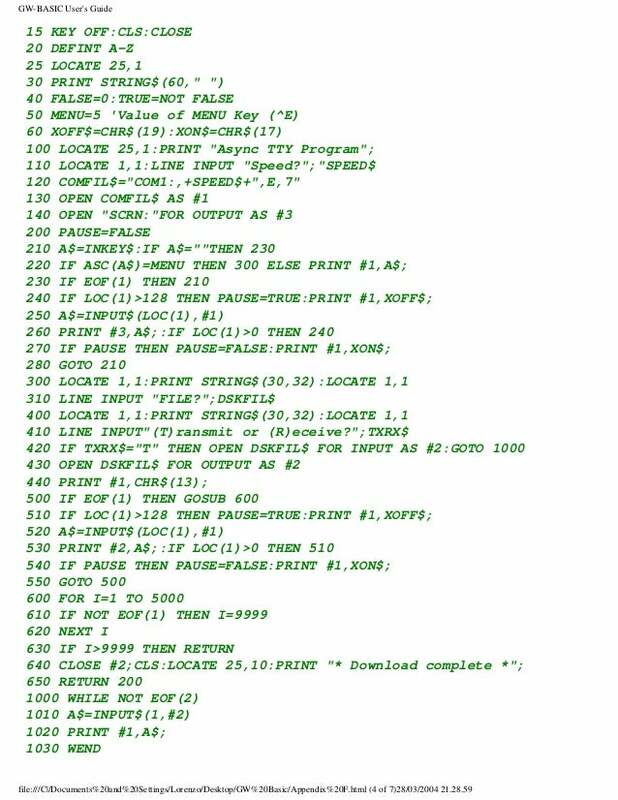 But you can use FreeBasic also to produce simple, elegant and efficient code. That's ok I can see why you thought that. My objection was your suggestion that I objected to the ability given to FreeBASIC to use C++ like code which on the contrary has been great for FreeBASIC because it has enabled talented programmers to make use of its extended powers. However I think the BASIC language owed its original popularity partly to reading much like a natural language making it easier to learn. Ultimately how useful a language is depends on what can be done with it and by whom. Is it a tool for a wider audience or is it limited to an elite few? Last edited by BasicCoder2 on Aug 18, 2018 19:43, edited 4 times in total.